​Tiffany Majors has dedicated her life to serving persons in unserved and under-served communities throughout the DMV region. For two decades, she has had great influential success in leading diverse teams. 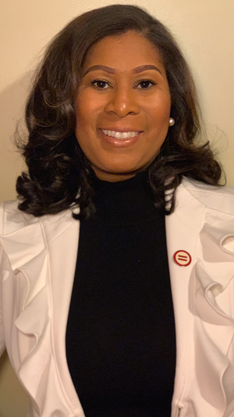 Ms. Majors has led agencies who specialize in Public Health and Human Services in communities of prodigious social, economic and health disparities. She has 19 years of executive management experience in the public and private sector operating to improve the inequities within employment, housing, healthcare and our penal system. Her career has been devoted to certifying equal access to quality services and eliminating intentional barriers toward vulnerable populations. She has developed and facilitated several advocacy coalitions locally and nationally with community, state and federal agencies to forward the mission of empowering African Americans and minorities the ability to achieve self-sufficiency and parity. Ms. Majors began her career in the penal system providing substance abuse counseling to inmates in a federal maximum security prison in addition to providing after-care treatment to newly released offenders transitioning into society. After relocating to Maryland, Ms. Majors transitioned her career into the Health and Human services field leading the charge in advocacy and direct care. Most recently she has functioned as the Director of Quality Initiatives for the State of Maryland after serving as the Project Director and Chief Executive Officer of Baltimore Healthy Start, Inc. Baltimore Healthy Start serves as the “subject matter expert” in serving high-risk pregnant women at and below poverty levels to decrease infant mortality and eliminate health disparities. The agency received national recognition for its stellar outcomes, impact and consumer retention; becoming one of the national training sites and mentors to newly developed affiliates. ​Ms. Majors earned a bachelor’s degree in Criminal Justice and Sociology from the first historic black university of higher learning, Cheyney University of Pennsylvania. She has also earned a dual Master’s of Business Administration and Masters of Healthcare Administration from Wilmington University. Ms. Majors is a Fellow of the Urban Health Collaborative with the University of Washington and a Johnson & Johnson Fellow with the Executive Management Program of the University of California, Los Angeles.